If you’re not into the gym scene but still want to stay fit, running outside is the simplest way to work on your cardio. Boston University has many pros and cons for runners. For one, the Charles River is an amazing view to have on your jog and you can try running faster than the crew teams row (a hefty and borderline impossible challenge). However, Commonwealth Avenue can get super busy and rowdy. Runners need to be extra careful, especially if they’re wearing headphones. Below are five routes for all kinds of runners that you can try out if you’re not in the mood for FitRec. Pictures are courtesy of Google Maps and each route starts at the George Sherman Union. If you haven’t ran since high school track, it’s best to start off nice and easy. One perk of BU is having Commonwealth Avenue be so simple to navigate. While it may be inconvenient walking to classes from East to West Campus, the layout is perfect for runners who are hesitant to branch out of the BU Bubble. If you’re nervous to run on such a busy street, the atmosphere is calm on weekend mornings. One thing to note is to be careful when crossing the street. It may be annoying having to stop running every hundred feet, but these could be perfect rest spots for beginners. Who said running had to be bland and boring? If you take this route, you’ll be running down Bay State Road, a true BU gem. If you need to take a running break to post a Snapchat story of this momentous event, there’s no beating the aesthetically pleasing brownstones or the Charles River. While this route is shorter than the beginner’s route, who wouldn’t want to run it again and again? After a few go-arounds, you can stop by for that East Campus food you can’t get enough of. If you’re really motivated, you can do your warm up run before you start your FitRec workout using this route. This is the perfect route for a West Campus resident who is sick and tired of having to go to East Campus for classes every day. While the run may not be as aesthetically pleasing as Route No. 2, running around Nickerson Field is sure to get you motivated about working out. 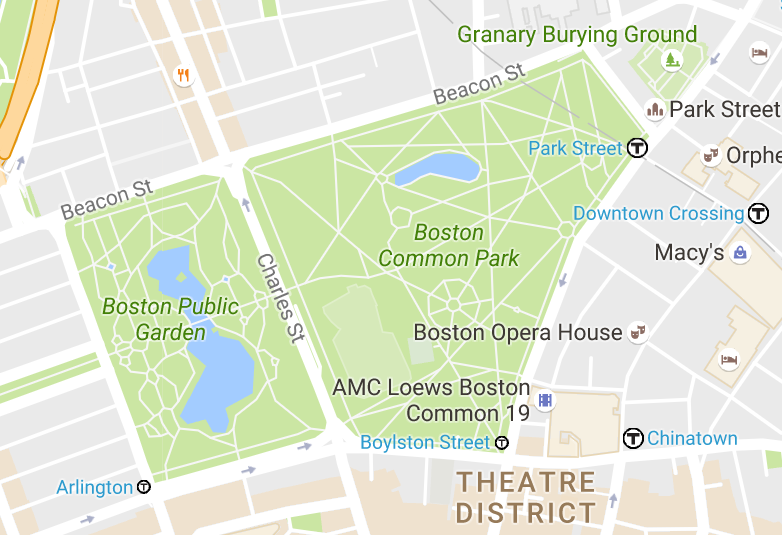 If you get bored of running around the BU campus, there are tons of routes that can take you all around Boston, Brookline or Cambridge. This route takes you across the BU Bridge and onto the MIT campus. 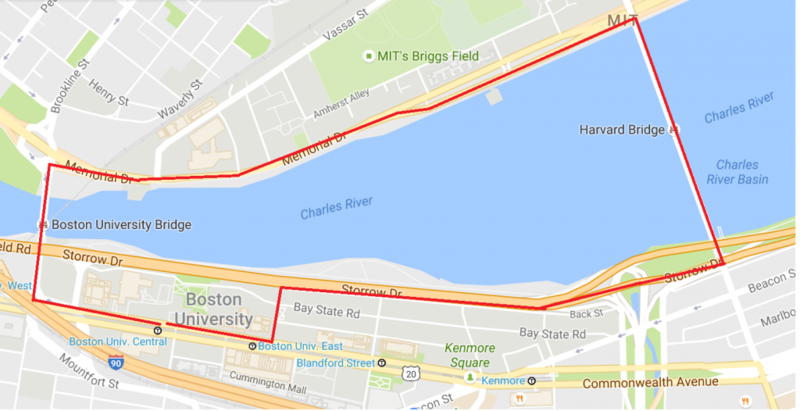 You’ll have the Charles River to the right of you the majority of this run, so think of it as a longer, yet equally beautiful run as Route No. 2. The BU and Harvard bridges have sidewalk areas for runners and walkers, but it’s still extremely important to watch out for yourself. So this route takes a little more time and effort than an average run. While it’s possible to run right down to the park, you can also take the Green Line inbound and get off at Park Street. This location is a tourist favorite, but it has its fair share of locals. If you’re looking to get off campus and go somewhere truly Bostonian and historical, this is the place to be. If you have a free Sunday, this is the perfect location for you to unwind with a jog on the Common’s multiple walkways.